The Long Now has a post on a cool experiment in a bottle - Ecosystem in a Bottle. It’s the ultimate low-maintenance houseplant: a spiderwort that waters itself. 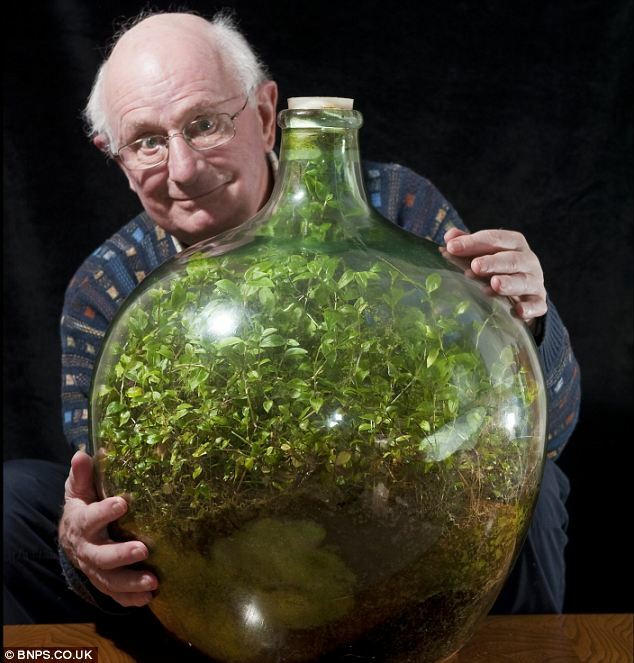 David Latimer, a retired resident of Surrey, UK, created this self-sustaining garden “out of idle curiosity.” In 01960, he decided to fill a large glass carboy with some compost, planted a seedling, and gave it a quarter pint of water. He watered it once more in 01972, then sealed the container shut. Since then, the spiderwort has developed its very own, independent ecosystem. As the Daily Mail explains, this microgarden refreshes its own air and provides its own water; all it needs is a bit of solar power. Sunlight provides the energy required for photosynthesis – the process whereby a plant sustains itself by converting water and carbon dioxide into nutrients and oxygen. Bacteria in the soil offer a little help in driving this cycle of energy conversion: consuming that oxygen, they digest dead leaves that fall to the ground, and release carbon dioxide back into the air. But what truly allows it to nourish itself is the enclosed spiderwort’s remarkably efficient ability to recycle water. 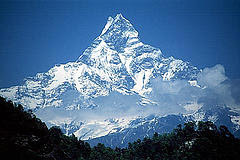 Its roots draw moisture from the soil, which is then transpirated back into the air by its leaves. As this moisture condenses, it is reabsorbed into the soil, and ready to begin its cycle all over again.